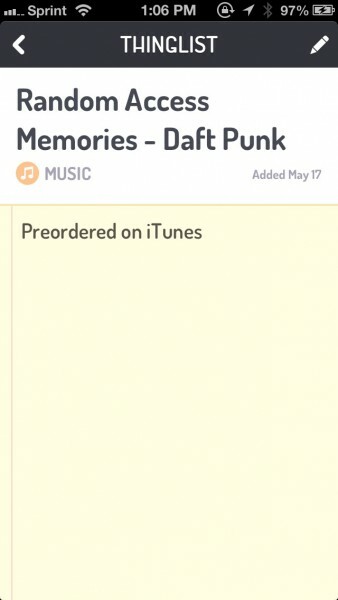 Thinglist ($1.99) by Elepath, Inc is an app to help you keep a private list of things to remember for later. 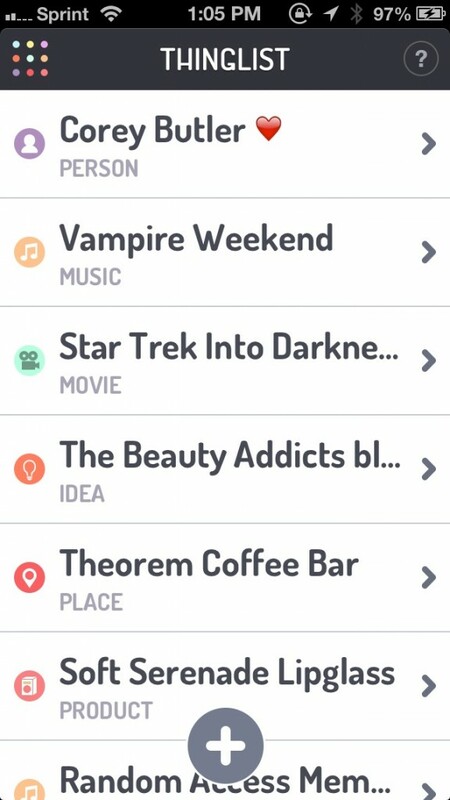 The concept is a list app, but for recommendations, places, books, bars, movies, music, products, and more. 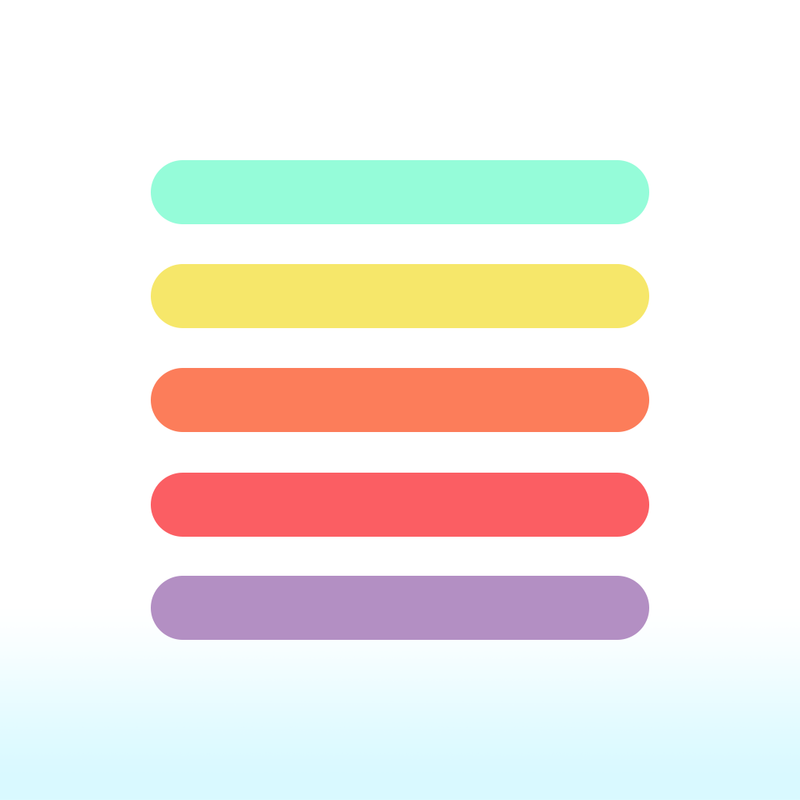 Basically, Thinglist is your “want to do” list, separate from tasks and shopping lists. I am not afraid to admit that I have used a lot of list apps, as well as others that are designed to keep track of specific things. However, sometimes I just want a single app to keep track of everything I want to check out, or go to, or watch, you know? While you can use a piece of paper or a basic text list for this, sometimes it can get a bit messy, especially if you add in things like notes. That’s why I was relieved when I found Thinglist in the App Store. I’m in love with the interface of this app. It’s using the flat design, looks minimal and sleek, and is incredibly intuitive. I also enjoy the sans-serif typeface that’s used, as it is incredibly easy to read. 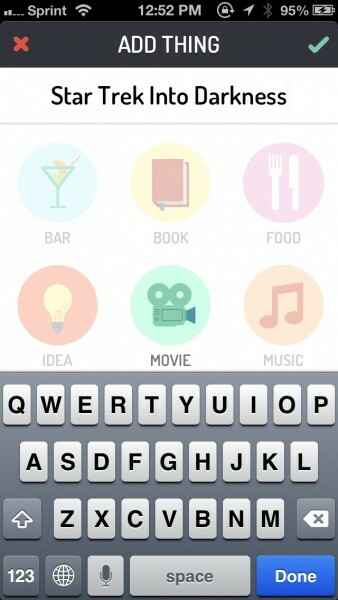 Also, the biggest draw to this app, making me want to use it over just a plain list, are the icons for categories. Simply put, they are gorgeous, and fit in very well with the overall design of the app. It’s obvious that the developers have spent a good amount of time handcrafting this app, and it was well worth it. The first thing the app will prompt you with on the first launch is to add an item. The first step to this is to select the category. Currently, the app has nine: Bar, Book, Food, Idea, Movie, Music, Person, Place, and Product. 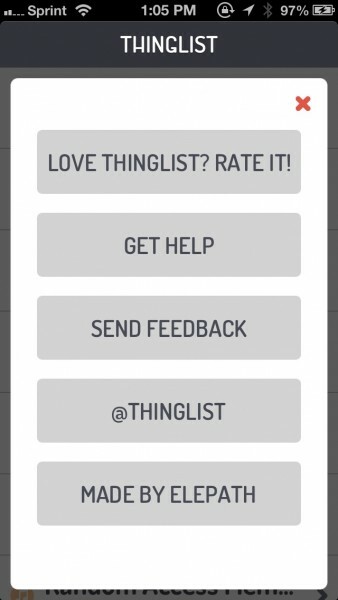 While this should cover the basics, I’m a bit surprised that Thinglist doesn’t have a category for television shows, apps, electronics, video games, and more. I understand the need to keep things simple, but I know I can’t be the only one that would like to see these categories added (especially television and video games). I guess “product” could be used as a general category for now, but it would definitely be nice to see the addition of more categories in the future. Once you have the category picked, the next step is to name the place, person, or thing. 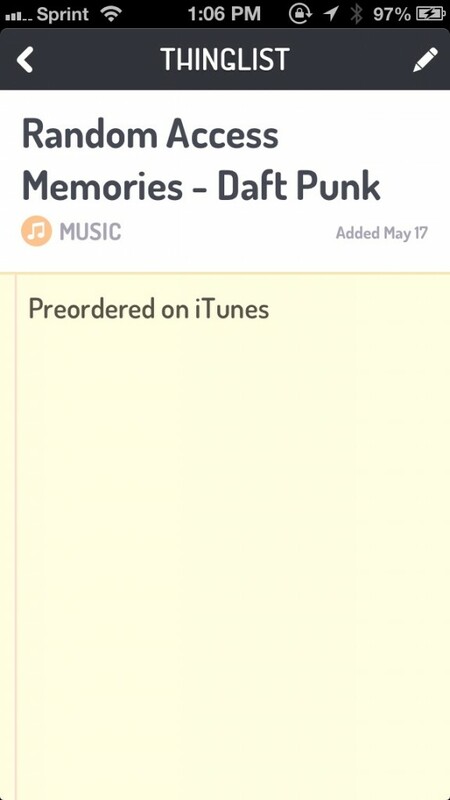 Then, when entered, you can add an optional note for it, which can be as long or as short as you want it to be. Save it, and it will be in the list view. When you view your want-to-do list, you can see the name of the item, category it is in, and the icon to go with it. Tapping an item will take you to the detail view, where you can see the full name and note, when it was added, and even edit it. To add new items, just tap on the + button at the bottom. 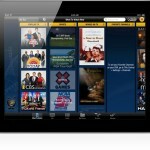 Now, once you start using the app often, you may end up with a cluttered list of things. 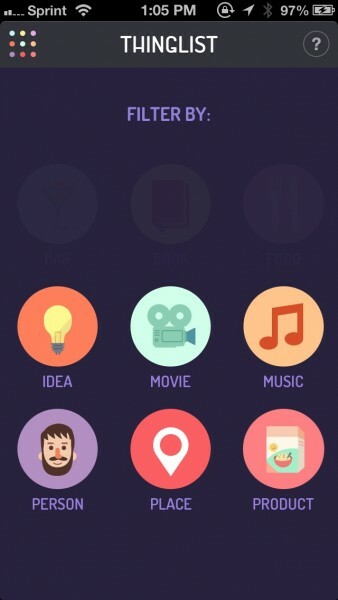 To make things easier, you can filter specific categories by either tapping on the grid button in the top left corner, or by performing the pull-to-refresh gesture. You can then select one category out of all of the ones you’ve used so far, and Thinglist will display those items only, color-coded to the background color of the category icon. To clear the filter, just tap on the “x” button on the header. 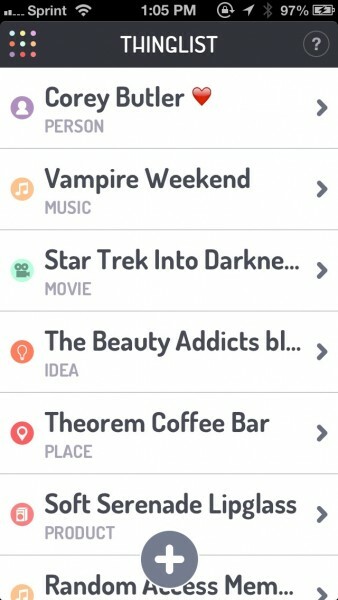 This is a simple app for just managing all of the things you want to do, see, or have. I just love the straightforwardness of the app, and it’s really nice to have all of these in a single app, rather than multiple ones. 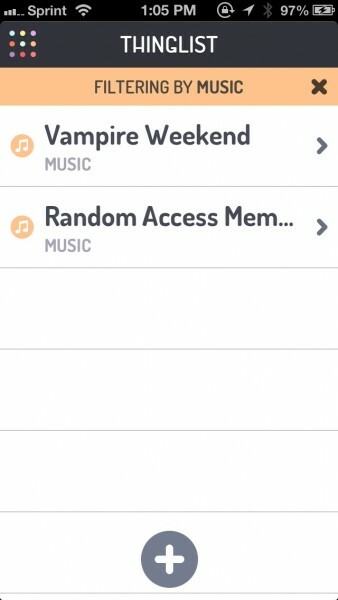 I just hope that the developers add in more categories in the future (or allow users to create their own), because I don’t feel that what is currently offered is enough. 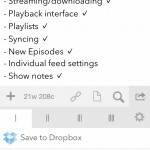 Also, it would be nice to see a cloud data backup or syncing solution (Dropbox or iCloud), as it currently does not have a way to backup your list if something happens. Still, I recommend checking this app out if you’re looking for a one-stop-shop for keeping all recommendations and wants in one place. With a few improvements, this app could be perfect. 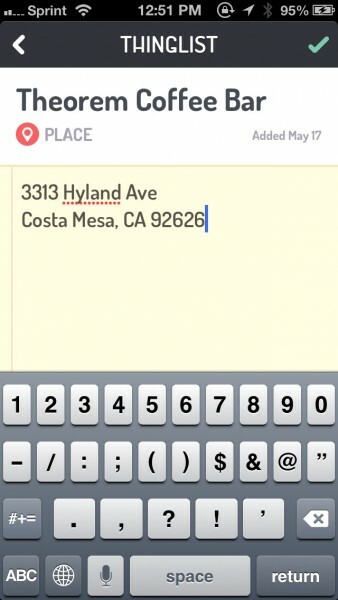 You can get Thinglist in the App Store for your iPhone for $1.99.